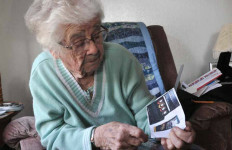 San Diegan Margaret Francis, 91, discusses her role in decoding secret German messages during WWII. Margaret Francis and her daughter, Lynn, have taught for the San Diego Community College District. 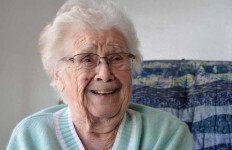 Francis enthusiastically retells tales of her work as a WREN during WWII. A new movie chronicles the secret work. Francis and her husband each contributed to the war effort but didn't know of each others' work until 30 years later. 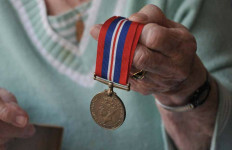 Francis shows a medal she received for being a WREN during WWII. 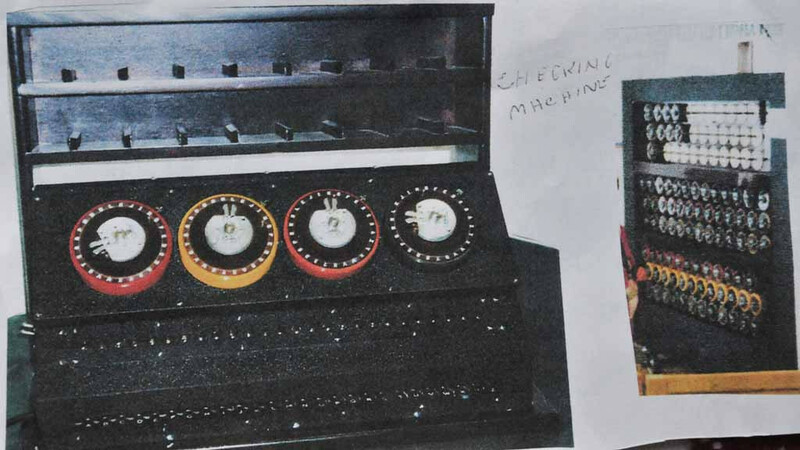 Francis has held onto a card that shows the back of the Bombe, a decoding machine designed by mathematician Alan Turin. 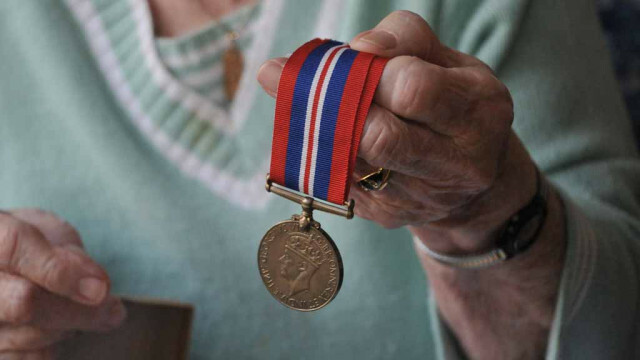 Francis received this medal from the Ministry of Defence for her work at Gayhurst Manor. 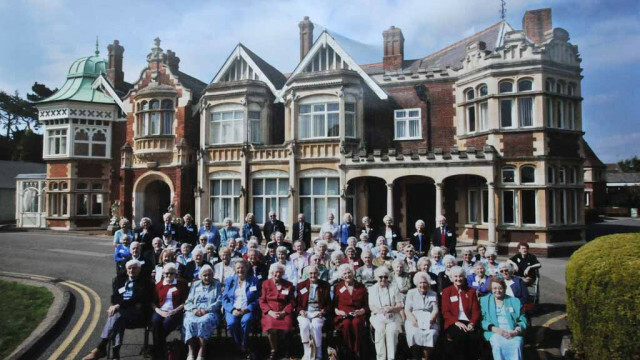 Each year, Francis attends a reunion at Bletchley Park, honoring WWII workers in the decoding project. 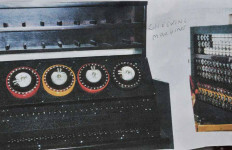 A photo kept by Francis shows the checking machine, modeled after the Enigma machine used by the Germans to code combat messages. Margaret Francis talks about the machines used in the decoding of secret German war plans during WWII. It began as an attempt to avoid loneliness. But in 1944, when young Margaret Francis joined the British military, she became part of a historic project now the subject of a major Oscar contender. 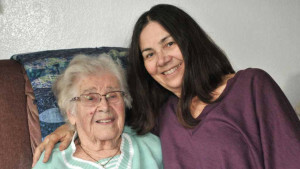 Francis, 91, recently saw “The Imitation Game” — nominated for eight Academy Awards, including Best Picture — and memories of her 1 1/2-year stint as an operator of the top-secret “Bombe” decoding machine came flooding back. The film, starring Best Actor nominee Benedict Cumberbatch, profiles mathematician Alan Turing and his efforts to decipher “unbreakable” German codes generated by the Enigma machine during World War II. 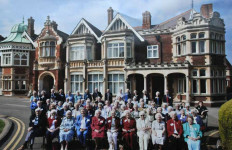 The scene was Bletchley Park in Buckinghamshire, England, an hour northwest of London. Historians figure that the decoding work by Turing, supported by thousands of others including Francis, shortened the war by at least two years and saved millions of Allied lives. 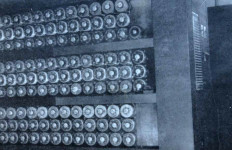 Although she spotted a technical error – the numbers on the Bombe (called “Christopher” in the movie) were actually positioned on the side rather than the front – Francis said Hollywood got the movie mostly right. However, “I think they were harsh on him (Turing),” said Francis, sharing her story with American media for the first time. In addition, the film didn’t mention the code-breaking outstations, including Gayhurst Manor where Francis worked. It was about 10 miles from Bletchley and the Turing team. 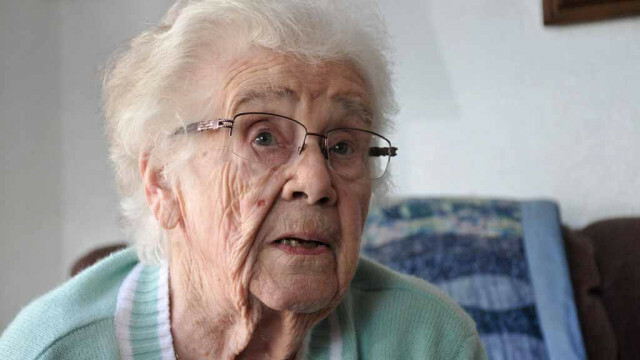 See extended, 39-minute version of Margaret Francis interview. 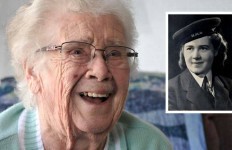 She condemned the treatment of Turing over his homosexuality, which saw him as a criminal rather than a national hero. 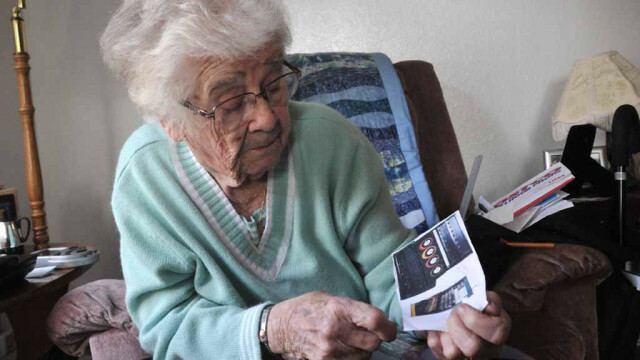 “I thought it was awful,” she told Times of San Diego in an interview at her San Carlos home. After 30 years of mandated secrecy, details of the code-breaking project began to emerge in the mid-1970s when a book was published. When she revealed her role in the operation to her husband, Albert, she discovered that he too played a part. 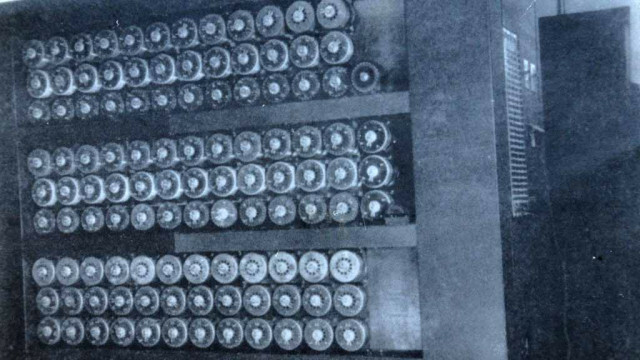 Albert, situated on an Italian mountaintop, retrieved German Morse code messages that would be relayed to Bletchley and then to the code-breakers. During those 30 years, no one asked about her war duties, “so I didn’t have to lie,” she said. 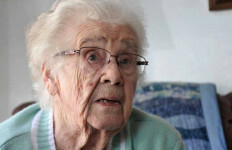 She and her fellow code-breakers were occasionally briefed at Bletchley about the battlefield successes due to the codebreaking “to keep us going,” she said. 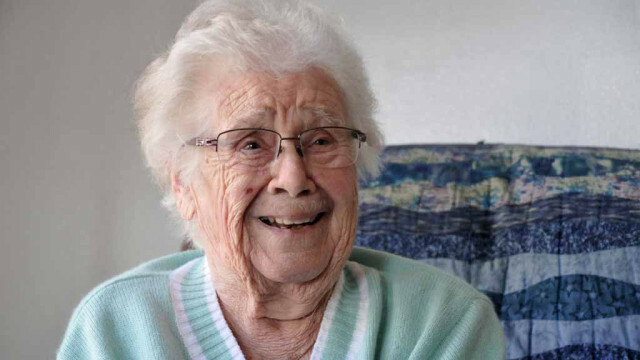 Cutting off supplies to feared German General Erwin Rommel in North Africa, which led to his surrender, and the sinking of the battleship Scharnhost were significant accomplishments, she recalls. In that room, members of the Women’s Royal Naval Service, or WRENS, would enter the numbers into an Enigma-style checking machine and report the decoded message back to Bletchley. “It was an enormous machine,” Francis said, adding that the noise emanating from 10 of these devices in a room was deafening. The checking machine reminded her of an old Remington typewriter, she said. Francis and fellow WRENS were threatened with jail if they missed a message or revealed their work to anyone outside the intelligence facilities. 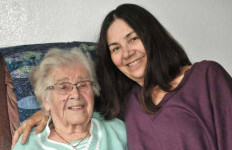 Born in London on the Fourth of July, Francis joined the WRENS after her husband of 11 months was sent off to military duty in North Africa and Italy. They didn’t see each other for three years. While never meeting Turing, Francis was aware of the scientists at Bletchley. To prevent the Nazis from becoming suspicious that their codes had been broken, the British sent up “recce” planes, their term for reconnaissance aircraft. Such regular missions were “very vital” to success, she said. Francis went through six weeks of initial training, and then was given the chance to choose her assignment. Ignoring her husband’s advice never to volunteer for anything in the military, she signed up for “Pembroke V.” Participants weren’t allowed to know the nature of the work until they got there. That intrigued her. After six more weeks of training on the decoding machine, Francis began her work at Gayhurst Manor with scores of other women. “We all got along beautifully,” she said during a 2-hour interview frequently punctuated by laughter. But being human, they did. That gave decoders a big opportunity to get started on the message. Without those errors, “we probably never would have cracked it,” she said. Francis didn’t find the work stressful, but dreaded the midnight to 8 a.m. shift. 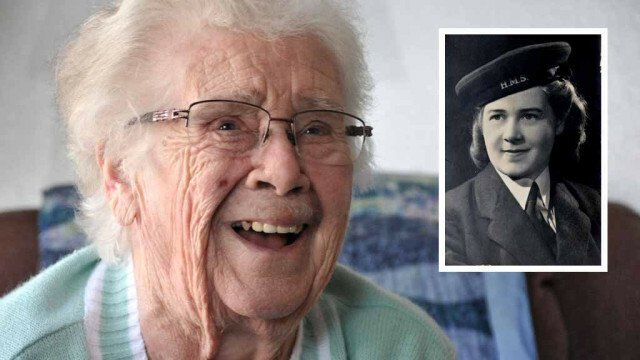 Francis and her husband each contributed to the war effort but didn’t know of each others’ work until 30 years later. The WRENS worked one of three shifts (8 a.m. to 4 p.m., 4 p.m. to midnight and midnight to 8 a.m.) for a week before changing to the next one. They had free days before beginning a new schedule. She had to monitor the different colored drums on the machine and make sure individual wire brushes didn’t touch or an electrical short could result. 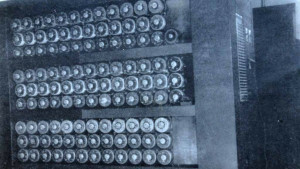 The Bombes were named after scientists, and “Henri” had a habit of regularly breaking down, to the operators’ dismay. But they were treated to free laundry and housekeeping services. All they were required to do was their crucial work. “And there was the hair,” Francis said. Their hair couldn’t touch the starched, white collars of their uniforms. An officer regularly hounded Francis to get a haircut. “I had this beautiful pageboy, and there was no way that I was going to cut that pageboy,” so she wound her hair up tightly in nylon on top of her head. Her day wasn’t all business. During time off, the WRENS rode bicycles, went horseback riding, visited their families and attended dances. Around D-Day, they weren’t allowed to travel far, but sometimes they slipped into civilian outfits and donned their uniforms again on the way back. American soldiers would drive 30 miles to pick up the women for their dances, she said. Girls could get such delicacies as fresh fruit, ice cream, chocolate and other treats while with Americans. Such items were rare during the war. 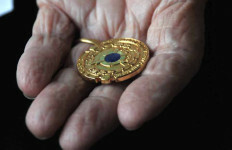 The Americans usually wanted to take the girls home, but leaving a house with an American would ruin a girl’s reputation, Francis said. One night, in a village where she grew up, she snuck out of a dance early. It nearly ended in her death. Shortly after arriving home, she heard the sound of machine-gun fire on the street. A German pilot was strafing the area, possibly thinking it was a landing zone, she said. After an American serviceman was seen swinging from a chandelier, the Gayhurst women were told not to invite Americans to their dances, she said. For a few days after VE Day in May 1945, Francis assisted in the screw-by-screw dismantling of the Bombe machines. She left the service in June 1945. After the war, Francis and Albert moved to Toronto, where she bore a daughter and son. They returned briefly to Britain, but left for lack of housing because of the German bombing. Francis ended up in San Diego in 1957, were she was a secretary at schools in the San Diego Unified School District and San Diego City College. Also, she taught shorthand, typing and word processing for 20 years in Continuing Education in the San Diego Community College District. She also has traveled to 50 countries. Her daughter, Lynn, has followed in her footsteps and teaches English as a Second Language at Mid City Center in the same college district. Academy award nominations will be announced Thursday. The film is being shown at the Hillcrest Landmark Cinema, the Village Theater in Coronado and the Reading Cinemas Town Square. 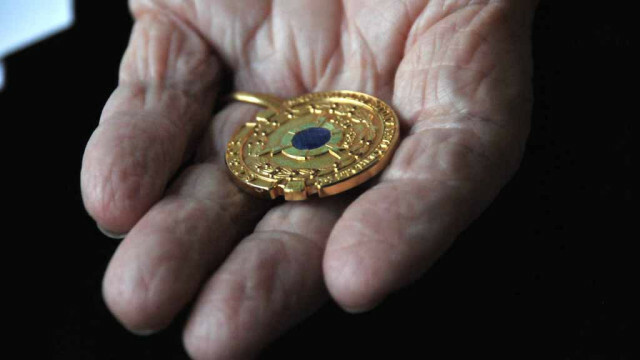 At home in San Carlos, Francis prizes another award — something she calls “a belated medal” she and other Enigma workers received several years ago from the Ministry of Defence.